EPoS, ecommerce and mail order integrated into one very straightforward cloud solution is the multi-channel retail product offering from Cybertill. The product was born out of retailers' needs for a powerful, flexible and scalable EPoS system that delivers a speedy return on investment. “It's vital that multi-channel retailers have visibility across their sales' channels. Cybertill allows retailers to do this, by having one product file and customer file, that the EPoS, ecommerce and mail order systems all access in real time,” says Adrian Mills, Marketing Manager Cybertill. With 12 years experience, 5,000 sites and more than 600 customers their EPOS solution can be seen operating in retail outlets, big and small, all over the UK, and suggests that the approach is working for Cybertill. We took a closer look to find out more about this product and exactly what it offers. Cybertill is a hosted solution, aka cloud based, meaning the software is accessed via an internet connection. It has moved away from the traditional method of installing and accessing software locally, because the internet offers real time access to data from any internet based device as well as many more advantages for support and additional features. The three sales channels, EPOS, ecommerce and mail order, are sold as a modular package that customers can select from. However, if they prefer to use a third party for one of the channels, they can, as the systems simply link together. The product can also evolve and be customised to add on particular requirements like gift aid or mobile point of sale. Once up and running it can manage in-store and online as well as being used by the customer service representatives when talking to a customer over the phone. Cybertill's customers are general non-food retailers like fashion, footwear, sports, furniture and also charity stores, that are independents running a single store or multiples with hundreds of stores. Point of Sale Software - Intuitive and easy to use, even for the inexperienced, and includes detailed technical descriptions and images to aid sales assistants. Stock Control - Full control over stock and real time visibility across all branches, so that retailers can instantly see the best selling products, the most profitable and slow moving. Purchase Order Processing - Set minimum and maximum stock levels for products that work with automated purchase order processing. The intuitive system can calculate the quantity of product needed and manage multiple suppliers for the same product and raise orders from suppliers that offer the best pricing. It can also share the data with your accounts system. Promotions Management - A seriously flexible promotional tool that lets retailers allocate promotions by all manner of options like sales channels, customer types, product categories, seasons or by any other product type, and it can bundle or unbundle special promotions for products and lines. Loyalty Programmes - An integrated loyalty programme called C-Loyal which can be configured as a straightforward points, discount or reward based scheme. Set up multiple loyalty cards with expiry date, use at any point of sale across all sites and channels, accrue points to specific products and specify redemption quantity, it has gift card functionality, and data is secure and can be imported or exported. Customer Relationship Management (CRM) - Logs details of customers such as transactions, interests, returns, frequency of purchase, and links to the loyalty programme to create one easy to view record. Client information can also be imported and exported. Back Office / Head Office - Easy to access reports over a broadband connection and retailers have the ability to formulate their own specific reports. Flexible Ecommerce Tools - Numerous tools offered to customise ecommerce sites according to different customer specifications. For example the live stock reservation tool that offers an order online and collect in store service. Ecommerce Marketing Solutions - Many simple to use marketing tools such as gift cards and loyalty cards as well as vouchers online that work across all channels. Secure Ecommerce Stores - High security levels from data security to ecommerce hosting to enable safer shopping. Successful Ecommerce Design - Brand new designs available using Cybertill's own master solution. Or customers can opt to use a third party solution or link to an existing ecommerce site. Either way Cybertill offer advice on what works and what may not. Straight forward Ecommerce Management and Analysis - Reports that operate in real time including pick/pack, dispatch, purchase ordering and detailed reporting. Stand Alone Ecommerce Store or Part of a Multi-Channel Retail System - Use independently if a business is solely online or as part of the Cybertill multi-channel retail software system. Sales Order Processing (SOP) - Take a mail order transaction at point of sale, at a call centre, at the head office or anywhere and all with real-time transparency of stock. Live Stock Visibility - Interrogate live stock visibility at the warehouse and other branches, and place and fulfill the order from wherever possible. A multitude of flexible features - Process gift vouchers or gift cards, look up postcodes, discount individual products or entire sales and communicate instantly with any or every point of sale system. So, what are the benefits of Cybertill? 24/7 management and control - Head office and back office can access the Cybertill EPoS system from any device, anytime, anyplace making retailing decisions easier, more accurate and fully informed. “The customer wants control when they are not there which they have with Cybertill. They can see sales trending across the business and from this they can get the right product, in the right location, at the right time”, said Adrian. Better customer fulfillment - As all the sales channels (EPOS, ecommerce and mail order) operate in real time, showing up to date stock levels and customer information, retailers can manage their stock and fulfill orders more efficiently. In turn a more efficient working nature can help to strengthen customer relationships, help retailers to better understand buying behavior and therefore stay in control of their business. Constant sales through instant pop-up tills - There's a sudden rush on, Christmas is coming or perhaps a new store has opened and tills are in demand. No problem, temporary points of sale are easily deployed and quickly brought online, simply by connecting to the internet. Affordable investment - Traditional EPoS systems generally need upgrades at some point which can be pricey and hard to set up. 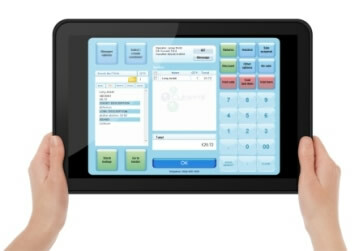 With Cybertill's cloud based EPoS system all upgrades are free and handled by Cybertill, no hassle or expense required. Targeted, successful promotions - Having three channels that know exactly how the customer shops and what they like to buy, means the retailer can target its customers more effectively by offering them tailored promotions. Managed service - Retailers do not have to be IT experts. Phew. Cybertill manages all software upgrades every few months so that retailers get the benefit of using the latest software at all times without interruption from running their busy retail business. More than just an EPoS System - Cybertill's broadband status opens the door to many features than a traditional EPOS solution wouldn't have access to, such as instant messaging direct to point of sale, time and attendance management, central document file storage, and cash/safe management. Interested in Cybertill? Why not get in touch to discuss your requirements?